Yet more Fan Fiction, written by me. If any of you have any objection to mesending my FanFic to the list, let me know.This one has much less of a plot than any of the other ones I've written, and you can easily get the full enjoyment out of it having only seen a few episodes of Red Dwarf. "Paintballing? I'm not so sure that's a good ida!" said Rimmer. "Why not, man, Paint balling's great fun!" said Lister. Rimmer thought about the last time he had gone paintballing with Lister and Peterson. It wasn't exactly the kind of experience he wanted to repeat! Still, the others had both been very drunk that day, and that was something that wouldn't be happening this time, Kochanski and Cat didn't drink, and Lister was trying not to drink around Kochanski in an effort to impress her. It still wasn't something that Rimmer wanted to do, so he decided to try to take the official route to saying no. "It's not really the kind of thing the Space Corps should be getting involved in, is it?" "Haven't you read the training manual Rimmer?" asked Kochanski, "they say it's a good idea, and that the crew of a ship should have some kind of war games simulation at least once a year." With this, Rimmer's face lit up, "War Games?" "Yeah" said Lister, "think of it as a more realistic version of "Risk". "Well, in that case, I suppose it wouldn't hurt too much." --- --------- "Wake up!" screamed Rimmer, "The enemy could approach at any moment!" "It's only midday" protested Cat, "I'm not getting up, enemy or no enemy!" Lister was lying under a huge engine at the time. He'd told Rimmer that it was the perfect strategic position, as he could watch out for approaching enemies while remaining unseen. In reality, it was a place where Rimmer couldn't talk to him without difficulty. He was still bitter about the fact that Kochanski had put him on the same team as Rimmer and Cat. He would have liked to spend the time with her and Kryten. As it was, he was running around the cargo decks of Red Dwarf with a creature who refused to have anything disturb his sleeping schedule and a man who insisted that they should run the operation just like Julius Caesar's African campaign. They had set 12 decks of cargo that were to be used as the battle field. Team A: Lister, Rimmer and Cat had to cover a certain amount of distance every hour, planting 5 flags on 5 different decks. There were rules about where on the deck they had to go, but Lister hadn't paid any attention to them. Team B: Kochanski, Kryten and Holly had to find all 5 flags during the next hour, while Team A planted another 5 flags. During this time, they were carrying paint guns, and had to try to shoot each other. Lister hadn't really paid much attention to what was going on. He was letting Rimmer do the planning. "Are you in place, Listy?" he called. "Yeah, man, I'm ready" said Lister, closing his eyes. "Right. We've got another 15 minutes before we're going to get moving again. Remember, if we see Team B, go for Kochanski." "She's the only useful one on the team" explained Rimmer, "Holly can't actually do anything, he's just a monitor on a trolley. The only reason they've got him is to make up the numbers. Kryten won't be much use without Kochanski either, he's got no idea what he's doing." Rimmer explained the plan some more, but Lister stopped listening. He closed his eyes and thought about what they were doing that day. Kochanski had told them that it was impossible to say how long the day's events would take. She said that it would depend on how long it took for everyone to "die". Lister's thoughts started to drift as he realised how tired he was. Rimmer had woken him up at 6:00 that morning to make sure he could be properly alert and awake for the 11:00 start. Lister had argued that getting up before he'd had enough sleep wasn't the best way to keep him awake, but eventually decided that it would be easier to wake up than to listen to Rimmer telling him that all the great leaders in history hadn't slept very much. His thoughts drifted further... surreal images drifted into his head... memories of a time long ago... drunken binges with Peterson... explaining to the Captain why they had set the food vendors up to spray paint in the face of anyone who ordered chicken soup... Rimmer shouting something about waking up... Waking up? "You're dead, Cat and you're dead Holly." said Kochanski's voice. Lister came out from under the engine to see Kochanski, Kryten and Rimmer standing there. Holly's monitor was covered in blue and red paint, and Cat had a single red mark on him. There was also blue paint all over the stacked boxes. "Welcome back, Listy" said Rimmer, sarcastically, "well done on your duties as look out." "We were walking past looking for the 4th flag when I saw Cat sleeping, so I shot him" said Kochanski, "the moment Rimmer heard the noise, he panicked and started shooting his automatic everywhere, and managed to hit Holly a few times. After that, the 2 dead rule came into play." "The 2 dead rule?" asked Lister. "Weren't you listening earlier?" said Rimmer, "We're playing Olympic rules. If 2 people are killed in one encounter, no more kills count." "Just one other thing" said Lister, "why is there blue paint all over Holly?" "Shame mode" said Kryten, "in the confusion, I lost control of my gun." "Right," said Lister, "so Cat's dead, Holly's dead and Rimmer's dead." "I'm not dead!" said Rimmer, indignantly. "Yeah you are" grinned Lister, "that's why you've got that big "H" on your head. --- ------------------------ "No alcohol" said Rimmer, bursting out laughing yet again. "It's not funny." said Lister, "Besides, I'm not planning on losing to her." Lister was already regretting his bet, but what he stood to win had been to good for him to say no. He'd agreed that if Kochanski was still alive at the end, and he was dead, he'd give up all alcohol for 2 years. 2 years! He couldn't believe he'd agreed to that! He consoled himself with thoughts of what Kochanski had agreed to do with him if he was still alive at the end... Kryten would 'not' be happy! The bet was actually very good from Rimmer's point of view. Firstly, he could spend all of the time taunting Lister, making him more and more worried at the prospect of no alcohol. Secondly, Lister was now making a proper effort to win! "That's her!" he shouted, pointing down a artificial corridor. The 2 of them fired round after round down it. Eventually, they realised that Lister was mistaken. The two of them got into a lift to climb one floor. As they left, Rimmer caught a glimpse of Kryten. "It's Kryten!" he shouted. Lister ran forwards, firing all the time. He missed Kryten 3 times while Kryten was trying to load his gun. Kryten realised that he wasn't going to be able to load it in time, so he jumped behind a pile of boxes. As he landed on the ground, his arm came off. Lister ran forwards, past Rimmer who was tripping over Kryten's arm, towards Kochanski who he could see moving in the distance. Kochanski fired, and he heard the whistle of a paint pellet passing millimetres away from his left ear as he carried on running forwards. Kochanski dived into a lift, and hit the door close button just in time for Lister's final shot to hit the glass viewscreen. Lister got into the lift next to it, and started his descent, matching the movement of Kochanski's lift. He saw her lift stopping 2 levels down, and set his own to stop in the same place. 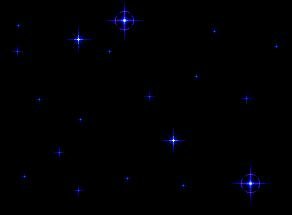 As it stopped, he could see that Kochanski had already gotten out of hers, and that she was waiting for him on the other side of his doors, pointing her gun right at him. He realised that he wasn't going to be able to get out of the lift without being hit. As if to confirm his realisation, Kochanski playfully shot paint at the clear window of the lift door. Lister let out an angry sigh and went back up two levels to meet up with Rimmer. He didn't notice, but as he went up, Kryten used a third lift to pass him, going down. --- ------------ The 4 of them carried on like this until about 8:00 in the evening. By this time, Lister was feeling weary, having been on his feet for hours. The Olympic rules stated that if the game ran for 10 hours without a winner being declared (there was only one hour left), the game would be moved to a more confined space. In this case, they had decided that this would mean a single level. Lister had decided that it would go the full 10 hours, so he decided to relax to get his energy back, ready for an all out attack when the time came. As he sat down and leant back against a large cardboard box, he felt it move against him. He guessed that someone had had the same thought as him, and was leaning against the other side. The box was very large, more than 20 feet across and almost 10 feet high, so Lister couldn't see what was there. "What is it?" whispered Rimmer, realising from his tone of voice that he had found something. "There's someone leaning against this box." "Yes, you, smeghead!" said Rimmer. "No, I mean someone else." said Lister. Then, lowering his voice even further, he added "on the other side." Rimmer realised that they had finally won a chance to take the other team by surprise. "Get up slowly" he said, "and we'll go around the box together. You go to the right, I'll go to the left, and we'll attack together." Lister got up slowly and went to the right of the box. He saw Rimmer move off to the left, and judged his exit from around the box to be in time with him. As he turned around, he saw... Cat leaning against the box. As Lister lowered his gun, Rimmer turned the corner, emitting a loud death-cry, and shot Cat 20 times. --- -------------- "Right" said Kochanski, "we're confined to this level. Kryten and I must start in that corner, you two must start in that corner there. Exactly 5 minutes after we are in place, Holly will sound the start, and we will begin. At that stage, anything goes. You can do anything you want to try to get us, and we can do anything we want to try to get you. This includes traps, but not collapsing cargo. Any questions?" Rimmer and Lister shook his head, and the 4 of them moved off into their new positions. "I'm actually quite enjoying this" said Lister. "I knew you would eventually" said Rimmer. "Do you remember the last time we went paint-balling?" "That was great! Do you remember, Peterson and I grabbed you and hand-cuffed you to the tree!" Lister started laughing, "how many times did he shoot you again, 50, 100?" "That wasn't so bad" said Rimmer, with bitterness, "what was worse was that you just left me there! About 40 18-year old girls were using the course after us, and they all found me there. You should have seen how many times they shot at me! They even used me as target practise!" "Yeah, I remember seeing you when you came back onto Red Dwarf. We all thought you'd escaped from that art exhibition." "Yes, it was an incredible laugh" said Rimmer, stony-faced, "Especially the bit where the Captain accused me of being involved with some strange cult that liked throwing paint at each other." "You'd make a good member of a cult" said Lister, "you have that great ability to follow stupid pointless orders, and you've got the right kind of mis-placed enthusiasm. "Awooga, awooga" said Holly, "start again now." "That wasn't 5 minutes" protested Lister, trying to move away from the starting place, so he wouldn't be an easy target. He was determined to hit Kochanski and win his bet! "Get into a good position and hide" said Rimmer, "they'll have to come here soon." Lister decided to do as Rimmer said. He decided that if Rimmer had spent half as long playing "Risk" as he'd spent telling the others about it, he must have learnt a lot about strategy by now. Rimmer knocked a stack of crates over and hid at the bottom of the pile. "Wouldn't it be a better idea to be a bit higher up?" asked Lister, "that's the last place you should be hiding in a pile of crates!" "Exactly, Listy, this is the last place they'll be 'expecting' me to hide!" Lister decided to leave another crate of boxes stacked how they were, climbing on top of them. From about 7 feet above the ground, he could lie down and still see what was going on around him. He cracked open one of the boxes to see what was actually in them, and found some tins of peaches, 3,000,000 years past their "best before" date. Another few years, and even the cafes in train stations wouldn't serve them, he thought. He cracked open another box, but the rotten wood splintered. As the debris came falling around him, he laughed at the fact that the piece landing right in front of him had the "it'll never rot" logo on it. Then again, it had lasted millions of years and only looked a few years old, so it hadn't done too badly. "Keep the noise down!" said Rimmer, hearing splinters of wood hit the ground, "they'll be here any moment!" Sure enough, after about 5 minutes, they could hear footsteps approaching them. 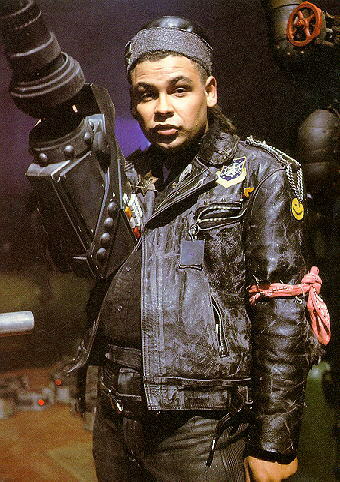 Rimmer levelled his gun towards the origin of the sound, while Lister attempted to move into a position where he could see Kochanski approaching. Kochanski and Kryten were actually only inches away from Lister, but he couldn't see over the edge of the crates. Rimmer spotted them first, and started firing. As he did so, Kochanski leapt towards the crates, trying to make a small indent where she and Kryten could hide. She succeeded in shifting a few crates, but these were supporting the crates, which Lister was on top of, meaning that he came crashing towards the ground, landing on top of Kochanski. He leapt to his feet, immediately shooting her. "You know, Kriss" he said, "I think I won our little bet." "Not exactly" said Kochanski, "you had to still be alive at the end of the game." with that, she motioned to Kryten, who was standing behind Lister, to shoot him. --- ----------------- That night, Lister slept alone. He also slept in Starbug. He would have slept in his normal quarters on Red Dwarf, but he shared these quarters with Rimmer, who he knew was still playing the Hammond Organ. He hadn't been able to play his organ for years. All the time he had been on Red Dwarf, he had been soft light, and all the time since then (including hundreds of years on Rimmerworld), he had been away from Red Dwarf, and his organ. Now, though, he had a reason to play it. Accompanied by the Skutters, he had been playing a large range of songs from "The Victory March", "On top of the World", "Celebration" and the 2006 classic "We win, up yours you smegging Germans!" (ah, that was a good World Cup for England) ever since he had shot Kryten to win the paintballing contest.